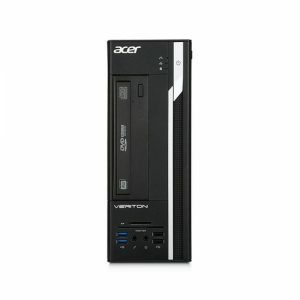 Download ACER VERITON X6640G Desktop PC Windows 10 64bit Drivers, Software and Manuals. 1.Fixed-User cannot be cleared BIOS password by the clear CMOS jump 2.Monitor will be off after wake by USB KB/MS from S3 when power on by Onboard LAN setting is disable. (compatibility with some USB KB/MS) 3.Update ME to 1205. 1. Fix HDD and Memory diagnostic test no produce test results under the test log item in PC Health page. 2. Fix After the memory test is completed or testing process by pressing the ESC key to exit system will hang on. 3. Fixed system can't launch UEFI PXE ROM when CSM is always and Boot Filter is UEFI. 1.Fixed issue where Win7 X86/X64 preload TPM enable/disable fail by WMI. 2.Fix TPM(TCM) 1.2 state default set to "Disabled" will affect TPM2.0 function. 3.Fixed issue where ESRT table item FwVersion return value not follow Acer Spec.